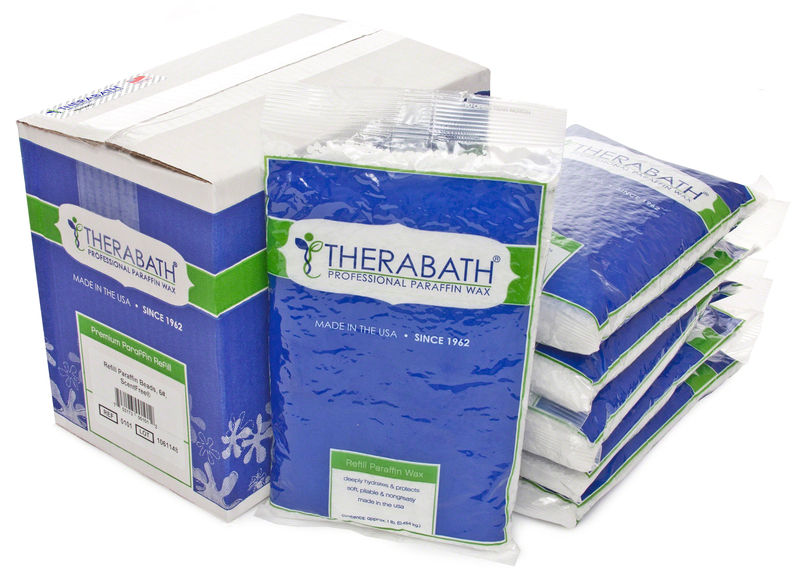 THERABATH PARAFFIN WAX HEAT THERAPY BATH - Soothing, fast acting heat relief of minor aches and pains. Since 1962, physicians, physical therapists, and arthritis specialists have recommended the Therabath Paraffin Therapy Bath because paraffin therapy is one of the most effective methods of applying heat to relieve pain. 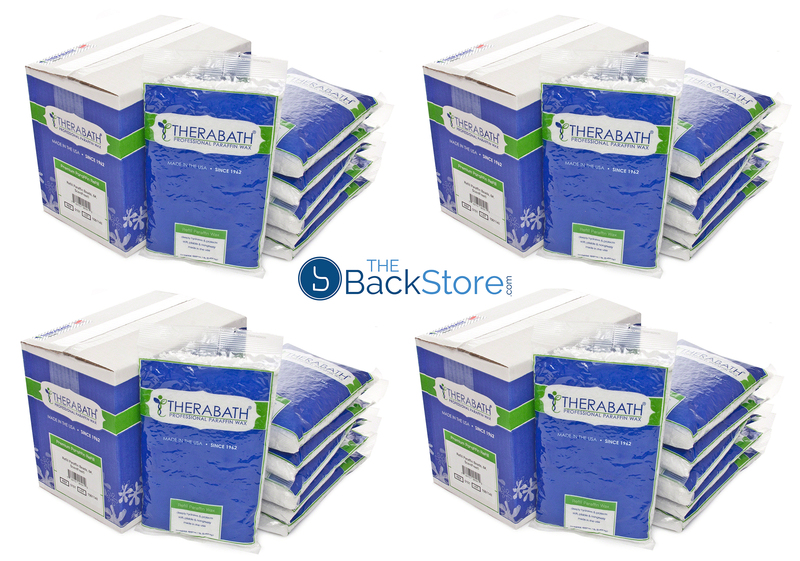 Fast-Acting Heat Therapy Drug-Free, Penetrating Heat Soothes Pain and Stiffness. 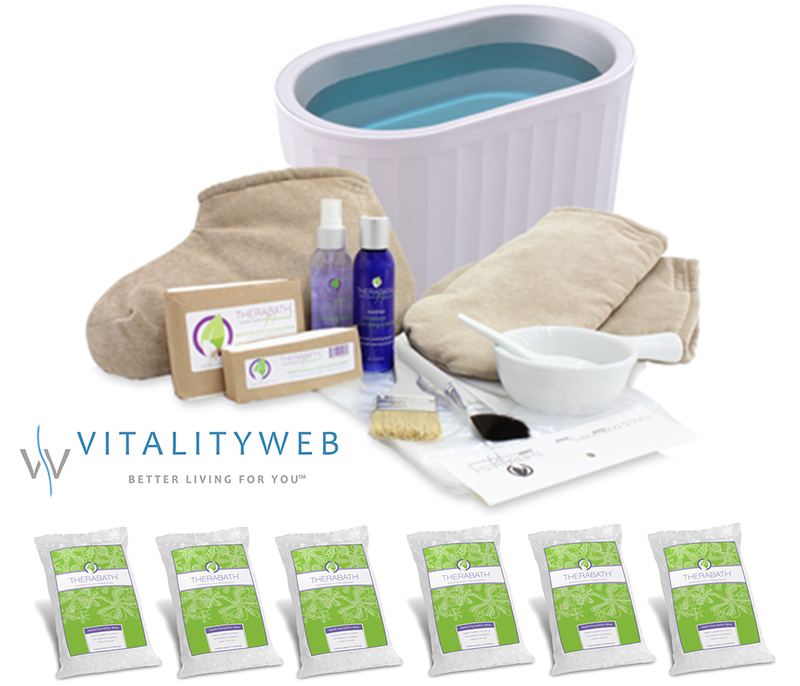 Effective on: Arthritis, Inflammation, Joint Stiffness, Muscle Spasms, Sports Injuries, and Dry, Cracked Skin. How does paraffin heat therapy work? 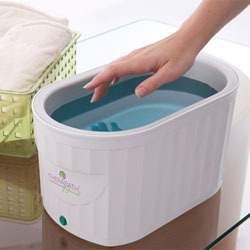 Paraffin wax has a very high "heat capacity," meaning it is able to absorb and retain a great amount of heat. The Therabath takes advantage of paraffin's heat-retaining capacity in a simple process called "heat transfer." 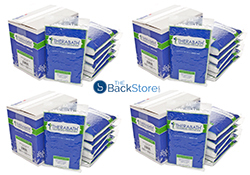 Very simply, the heat that goes into melting the paraffin is released when it solidifies into a custom-fitted, warm "glove," thus transferring the heat deep into the affected joint or area. 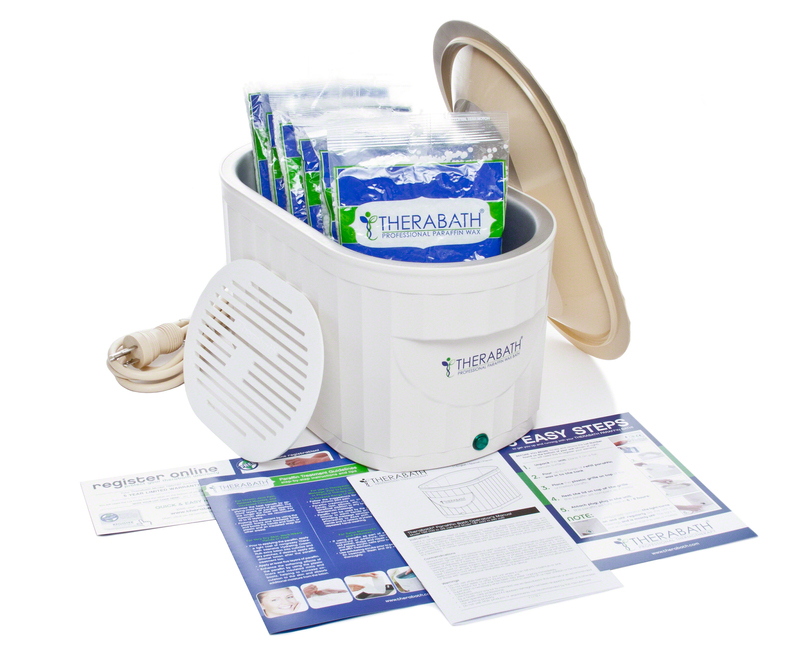 Each dip in a Therabath delivers a layer of fast-acting heat therapy. Heavy-duty, hospital-grade construction. 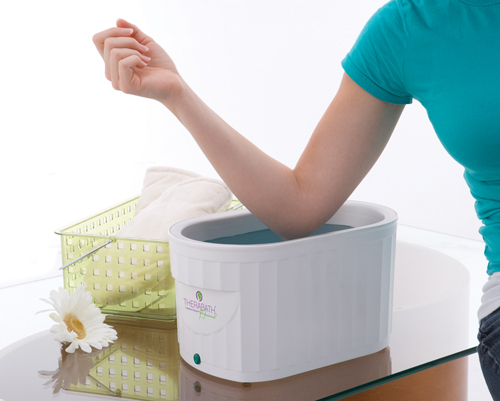 Worry-free, automatic thermostat keeps paraffin at a medically prescribed temperature. 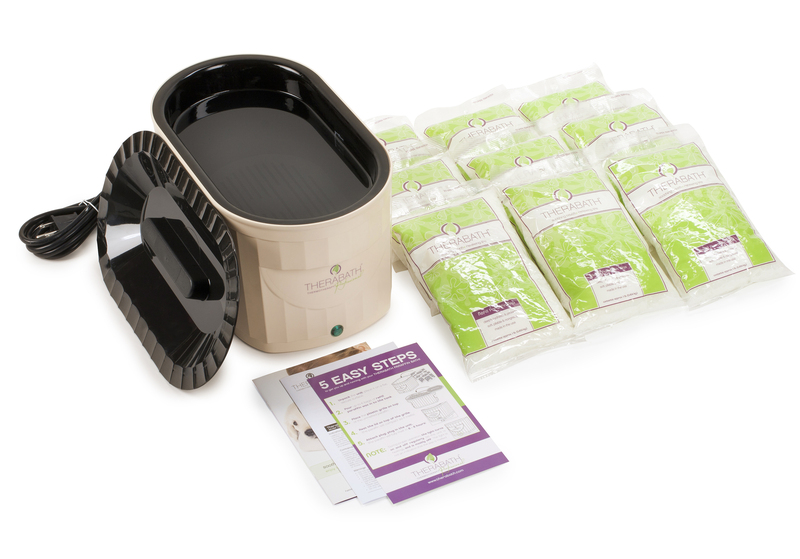 Includes 6 pounds of Theraffin Paraffin Wax, lid, grille, detailed instructions and unsurpassed lifetime guarantee (US and Canada). 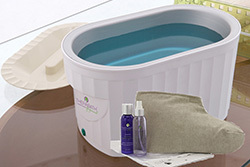 Full-sized for hands, elbows, feet and more. Worry-free automatic temperature control. Professional Quality construction. Versatile, safe and easy to use. Insulated for low power use and CUL listed for safety. Proven effective. 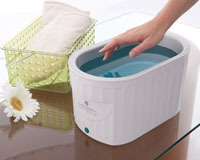 Unit dimensions: Inside - 11.4" L x 6.75" W x 5.8" D - Outside Dimensions - 14.3" L x 8.2" W x 7.5"D. A Lid cover is also included. Weighs 15 lbs when filled. MADE IN THE USA since 1962. 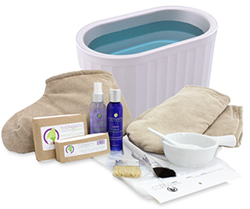 Includes the Therabath, 6 pounds of Theraffin Paraffin, 2 Insulated Mitts, 100 Mitt Liners, 4oz Sanitizing Spray, 4oz Intensive Hydrating Cream. 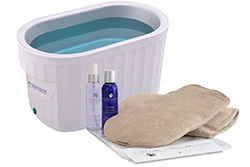 Includes the Therabath, 6 pounds of Theraffin Paraffin, 2 Insulated Boots, 100 Mitt Liners, 4oz Sanitizing Spray, 4oz Intensive Hydrating Cream. 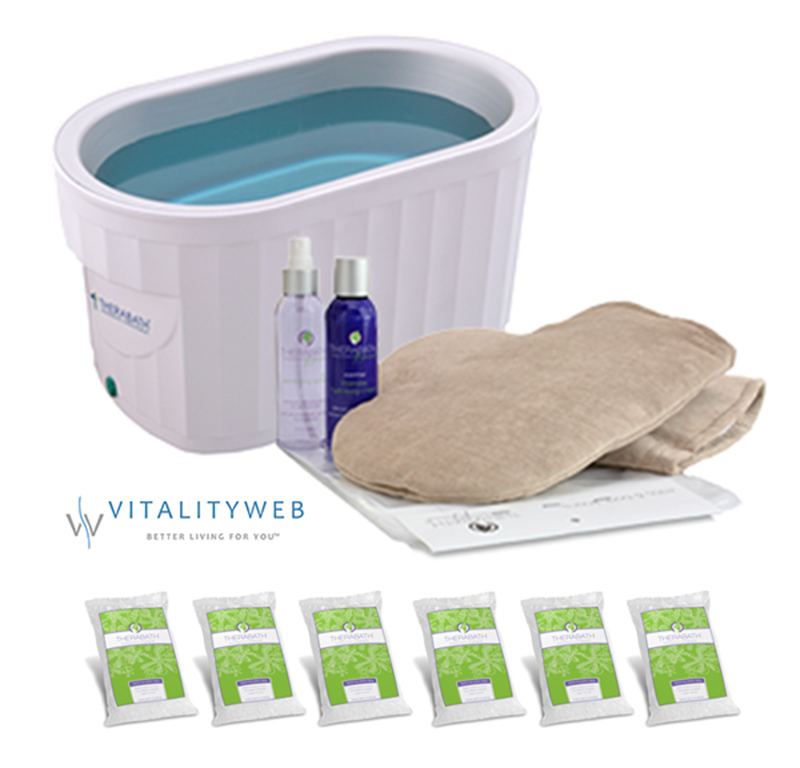 Includes the Therabath, 6 pounds of Theraffin Paraffin (Scent Free or Wintergreen), 2 Insulated Mitts, 2 Insulated Boots, 100 Mitt/Boot Liners, 50 Gauze Facial Masks, Natural Bristle Facial Brush, 4oz Sanitizing Spray, 4oz Intensive Hydrating Cream.